Above is a graphic made by Caleb Lambert (@CaleLambert), based on an original by Tim Sharpe. 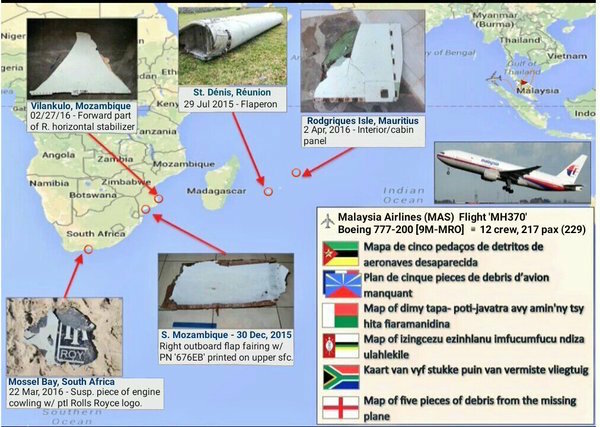 It offers a nice visual summary of the five pieces of known or suspected MH370 debris. It’s quite odd. The two sides don’t seem to match very well at all. Perhaps this is due to some trick of perspective or lens distortion? Observations and insights welcome. UPDATE 4-8-16: This video clarifies the issue quite neatly. Thank you Michael Helms and @Gearo. >The motives and events leading to a crash after fuel exhaustion are again manifold higher than the controlled ditching scenario. Huh? So let me try to understand the logic here. Everything points to a well-executed, professional diversion precisely at handoff (coincidence, I think not), avionics are kaput, aeroplane flies back over Malaysia, then around Indonesian FIR, no attempts to communicate are initiated nor received (allegedly) from cockpit or pax other than co-pilots cell phone (allegedly), and then after the FMT you just haphazardly choose the ‘ghost flight’ scenario? What in the world is this preference predicated on? It makes no sense to me but I would be receptive to a plausible scenario (not that the evil tiger spirit offed himself at the FMT…this isn’t plausible). @DennisW – Instead of one motive to explain the sequence of events, how about two? Perhaps one at 17:20 and a second one at 18:20? 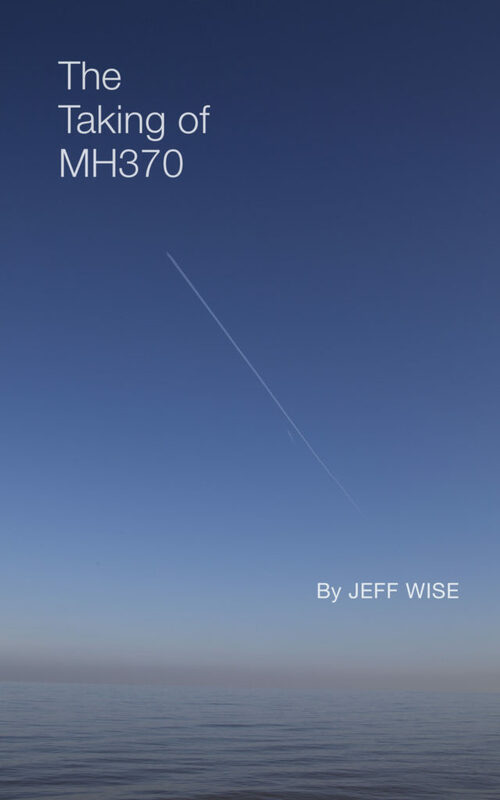 In the weeks after March 7, 2014, Prime Minister Najib Abdul Razak was on television quite often to explain what they want us to know about MH370 and is also the person who officially defined the loss as an “accident.” Now. He is in the news again but this time it has to do with his personal US$1 billion (last week I said it was only US$600 million) participation in dealings with 1MDB. Coincidence or is there a connection? Shutting comments now, please share your thoughts in the comments section of the newest post. Thanks! 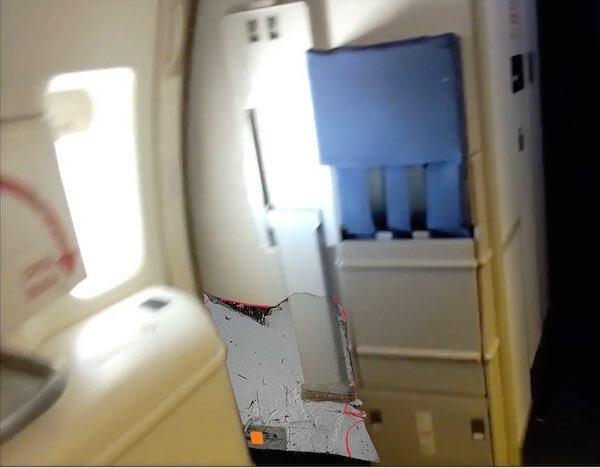 Next Next post: Can Ocean Conditions Explain the Lack of Biofouling on MH370 Debris?